Already renowned worldwide as the #1 Vacation Destination, Orlando is also known for its tropical climate and relaxed lifestyle. After leading the nation in job growth, Orlando is attracting some of the biggest names in business, creating thousands of high-wage, high-tech jobs in a region traditionally known for tourism. Recently named one of the nation’s most cost-competitive locations, Orlando is an emerging tech and startup hub and Florida's friendliest metro for small businesses. Orlando has been the fourth-fastest-growing large metro area in the nation over the last few years, with more people expected to move here than any other point in history. Orlando is projected to add more than1,500 people to the region every week for the next 11 years, eventually reaching a population of 5.2 million people by the year 2030. Basically speaking, more people equals more economic opportunities and although Orlando has been known primarily for tourism and hospitality, with the fastest growing industry expected to be home and healthcare services producing a 64 percent increase in employment. Over 72 Million Tourists visited Orlando in 2017, considered the World's #1 Vacation Destination and home to 7 of the Worlds Top 10 Theme Parks, led by the Walt Disney World® resort. Known as the Modeling, Simulation and Training (MS&T) capital of the world, Orlando is home to the simulation procurement commands for the U.S. Armed Forces with over $4B in annual contracts. — In Orlando, these are words to live by. The region leads the way in terms of variables such as housing starts; growth in population, employment and resident income; mortgage lending; building permits; new-home sales; and home prices. On the strength of those factors, housing availability, affordability and diversity are widely apparent. 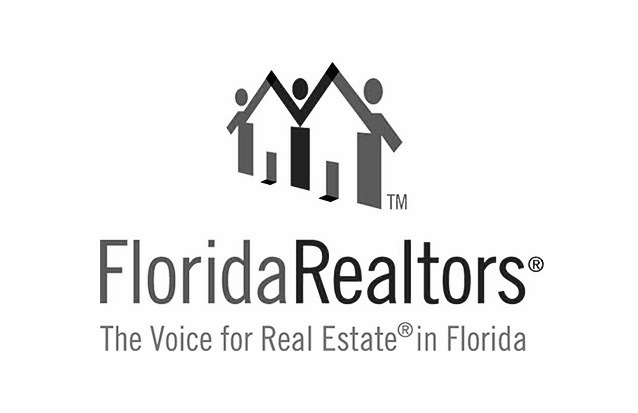 Homeowners save significantly by living in Orlando. As for diversity, housing options and neighborhoods span a broad spectrum, from an urban setting in downtown Orlando to the rolling hills of Lake County. Houses in every description — from one-bedroom condo units to multi-acre estates — are plentiful. Preparing students at all stages to serve as Orlando’s workforce of tomorrow is a top priority as educators committed to excellence work in partnership with parents, teachers, administrators and community leaders to create innovative curriculum and programs, starting as young as the Pre-Kindergarten level. The four K-12 school districts in the Orlando region – Lake County Schools, Orange County Public Schools, School District of Osceola County and Seminole County Public Schools – are high-performing and award-winning with numerous accolades received including the Broad Prize for Urban Education (OCPS) and are routinely named to lists like “Most Connected,” “Best High School” and “Top of the Class.” Each district has innovative magnet programs as well as a focus on Advanced Placement and dual enrollment, STEM and robotics (as early as Kindergarten), unique arts schools and personalized learning approaches. A strong private school system is also available. For higher education, the Orlando region offers more than 35 colleges, universities, technical schools and private institutions as well as continuing education programs that offer on-going opportunities for workers sharpening their skills. Full Sail University caters to those pursuing careers in the entertainment and media industry and graduates routinely win prestigious awards including Oscars and GRAMMYs. Rollins College Crummer Graduate School has been named among the top MBA programs in the nation. The University of Central Florida, one of the nation’s most innovative schools, is the country’s second largest university, offering 200 degree programs to more than 60,000 students. Unique colleges in the region include Beacon College, the first higher education institution in the country to award bachelor degrees exclusively to students with learning disabilities; Florida Institute of Technology, named one of the nation’s top technological institutions; and Keiser University and Webster University, both with flexible programs and personalized learning approaches. The region’s state colleges have also earned high marks. Lake-Sumter State College, Seminole State College of Florida and Valencia College (named the best community college in the nation by the Aspen Institute), all offer DirectConnect, a partnership with the University of Central Florida. Statewide universities operate divisions in the Orlando region including Florida A&M University College of Law, Florida State University College of Medicine, and the University of Florida Research and Academic Center. Located at Lake Nona Medical City, the Orlando VA Medical Center is a 134-bed hospital that brings the latest research and state-of-the-art medicine to 400,000 Central Florida veterans. This facility, the first VA hospital built in the United States since 1995, will pioneer cutting-edge technology in prosthetic limbs and bionic technologies for arms, legs, and eyes. The Center also specializes in brain injury treatment, post traumatic stress disorder research and treatments in suicide prevention. The state-of-the-art Dr. Phillips Center for the Performing Arts is a brand new premiere destination for world-class arts, culture and entertainment; a Center where regional and global creativity converge to educate and nurture the region’s artists, arts organizations, audiences and students. The artistic director of the Orlando Ballet, Robert Hill, is internationally renowned in ballet circles. Orlando is home to one of the top orchestras in the state as well as the third-oldest continuously operating Bach Festival in the United States. The Morse Museum is internationally known for its Tiffany Glass collection. The City of Orlando’s Public Arts division curates three galleries, all of which are free to the general public. Two of the galleries are located in Orlando’s City Hall; the third is housed within the historic Harry P. Leu Gardens Garden Home. The Zora Neale Hurston Festival is an internationally known celebration of the cultural contributions that Africa-descended people have made to the United States and to world culture. The Orlando Museum of Art boasts a renowned permanent collection and has played host to many world-famous traveling exhibits, including American glass artist Dale Chihuly, China’s Ming Dynasty Collection and American folk painter Grandma Moses. Adding to the rich community fabric of Orlando cultural arts is the Broadway Across America: Orlando and Orlando Shakespeare Theater in Partnership with UCF. The Osceola Center for the Arts promotes interest and participation in the arts by offering events and programs that are accessible for everyone. The Center hosts five art exhibits in their gallery and produces a two-day art festival in downtown Kissimmee. The Orlando Fringe Festival is a well-known, off-beat cultural event. Home to exciting, hands-on exhibits, amazing giant-screen movies and engaging live programming, Orlando Science Center is a place where visitors can explore and discover science and technology together. Orlando ranks as "the best city for Recreation in the United States, by WalletHub for the last two years in a row. The four county region has a multitude of sports and recreation options with more than 100 top-rated golf courses, miles and miles of walking and cycling trails and triathlon certified training at the National Training Center where Olympians also happen to train. In 2016 Orlando became home to more than 100 tennis courts as the “new home of American tennis” with the United States Tennis Association and a brand new $27 million sports complex in Seminole County. The region’s mild climate makes outdoor recreational pursuits a year round lifestyle choice in Orlando. This is one reason that more professional golfers live here than in any other city in the United States, including legend Arnold Palmer. The region is home to more than 100 top-rated golf courses, which are available for play 365 days a year. The annual Arnold Palmer Invitational is just one of the tournaments that attract top players to Central Florida. The NBA’s Orlando Magic play on their home court in the Amway Center in downtown Orlando, as do the AFL's Orlando Predators and the ECHL's Orlando Solar Bears. Before the new Amway Center opened, the Orlando Magic’s corporate home was based at Orlando’s RDV Sportsplex, a sprawling sports and entertainment destination that houses a fitness club, ice skating rink, tennis courts, salon and spa, retail and restaurants, corporate event facilities. The Sportsplex is adjacent to a Florida Hospital Sports Medicine and Rehabilitation complex. A new 25,500-seat soccer stadium opened in 2017, is home to the MLS's Orlando City Soccer Club and the NWSL's Orlando Pride. USTA has built a state-of-the-art facility, the USTA National Campus. The facility features 100-plus courts and house the USTA’s Community Tennis and Player Development divisions. Orlando Speedworld is Central Florida's most active stock car racing speedway. And, nearby Daytona Beach is home to the world-famous NASCAR and Daytona 500, as well as to the annual Bike Week gathering of motorcycle enthusiasts. The Camping World Stadium is the only facility in the world that plays host to back-to-back NCAA Bowl games: the Russell Athletic Bowl in December and the Buffalo Wild Wings Citrus Bowl on New Years Day. The stadium is also home to the Florida Blue Florida Classic, our state’s premier black college football game. From the Silver Spurs Rodeo in Osceola County and indoor sky diving on Orlando’s International Drive, to scuba diving in the Wekiva Springs in Seminole County, to “blueway” waterway trails on the lakes of Lake County, there is something for everyone to be found in the Orlando region!